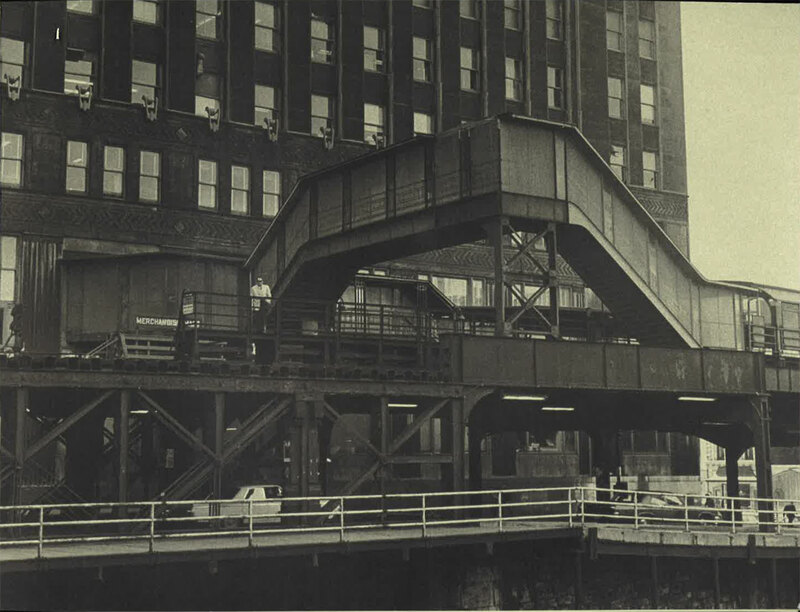 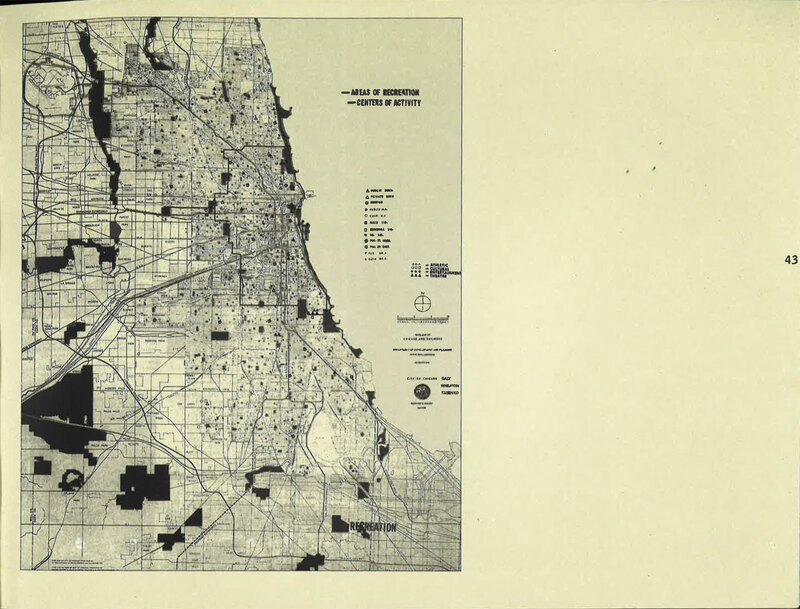 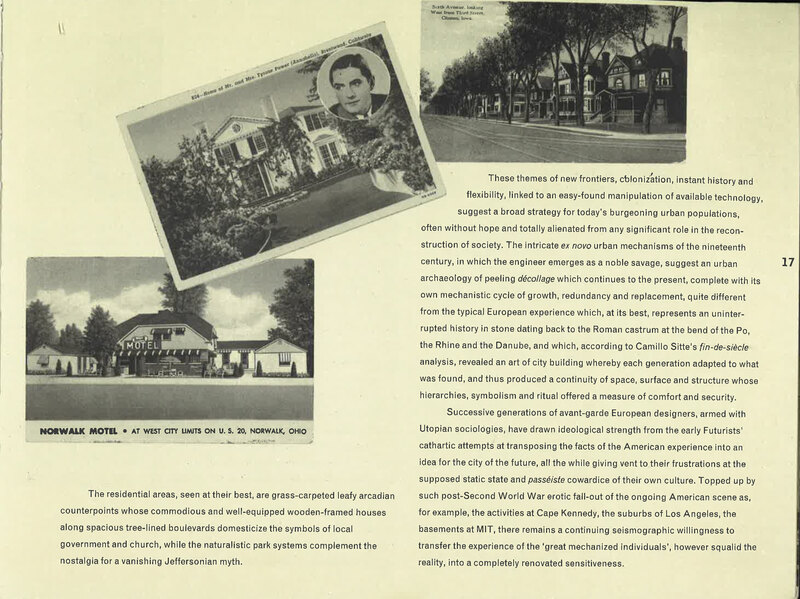 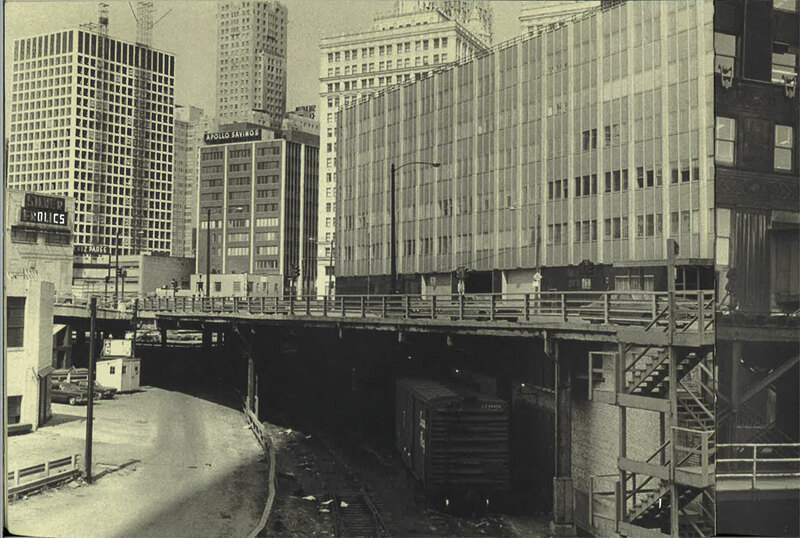 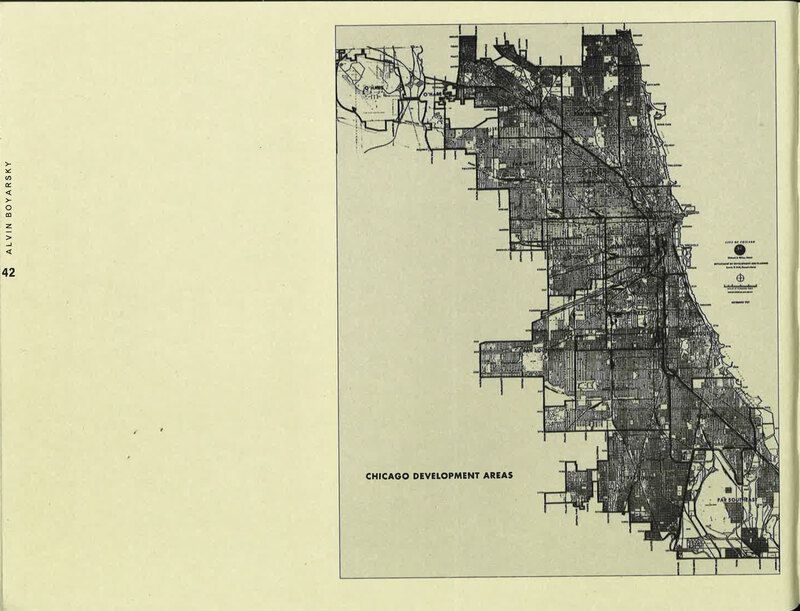 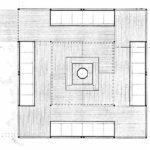 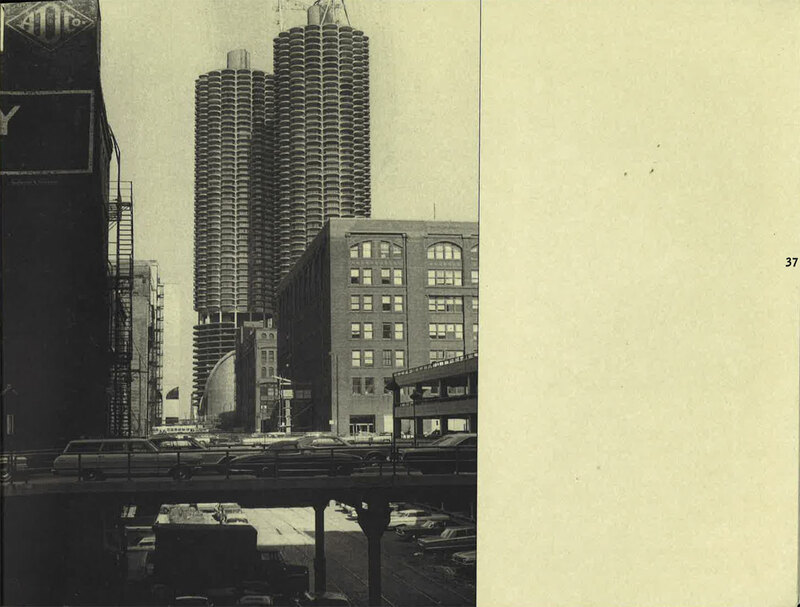 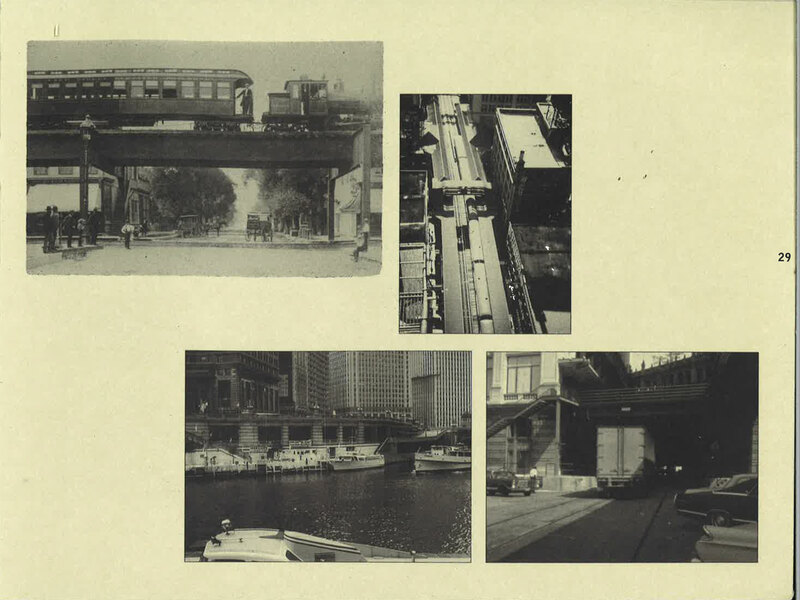 This post introduces a series of heterogeneous articles on Chicago, the city and its architecture: sparse attempts to convey different looks at the city from within and outside the boundaries of the discipline. 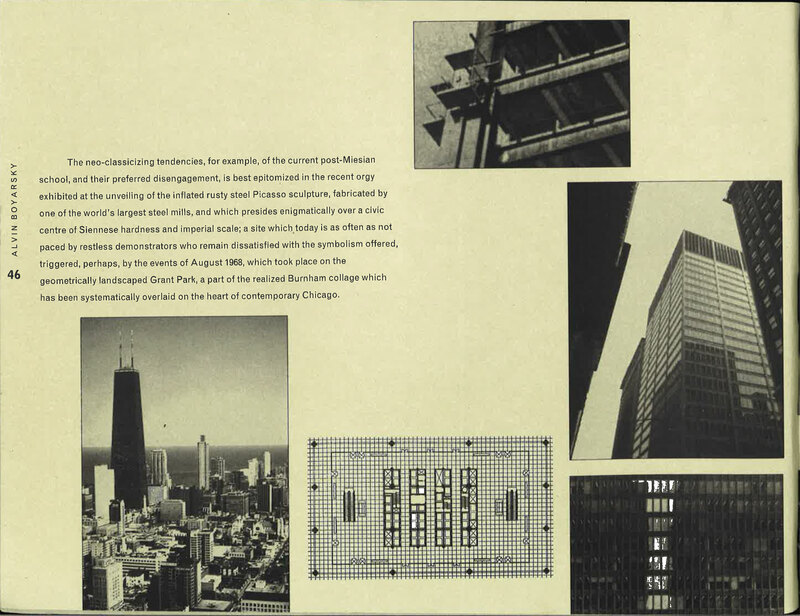 Canadian architect and educator Alvin Boyarsky, director of the Architectural Association school in London from 1971 until his death in 1990, worked in Chicago as Associate Dean of Architecture, University of Illinois at Chicago-Circle during one of the most intense periods of turmoil and political unrest in the city history. 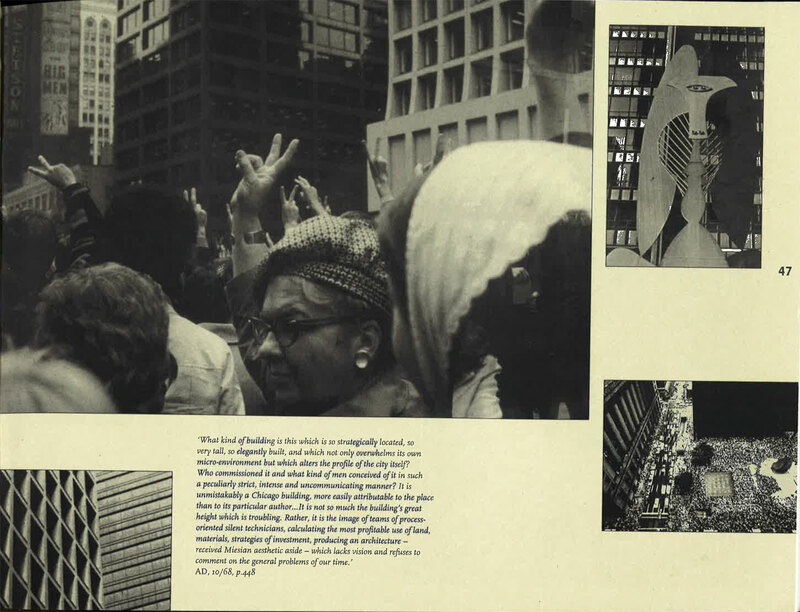 In the late 1960’s, Boyarsky was equally a participant of sit-ins for Cambodia and of political and civil rights movements and a representative of the city’s architectural élite. 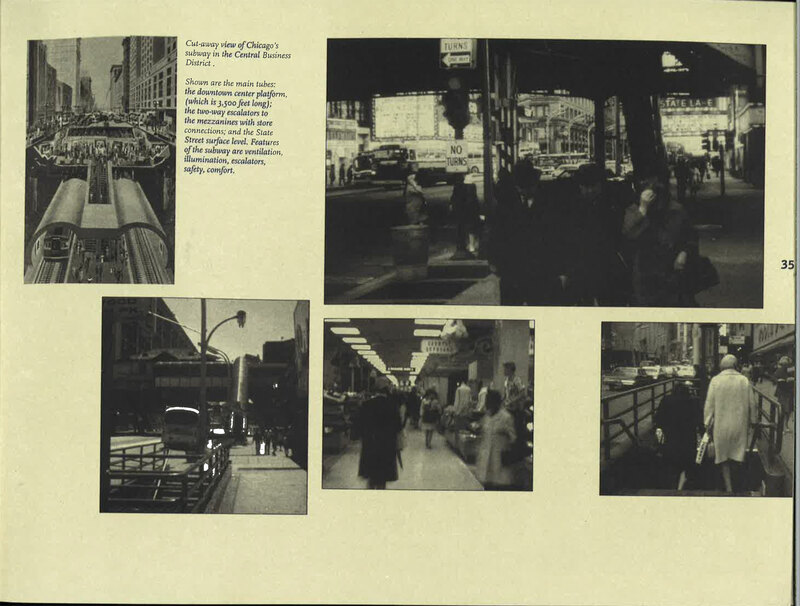 Squeezed within these two poles, he felt unsatisfied and isolated. 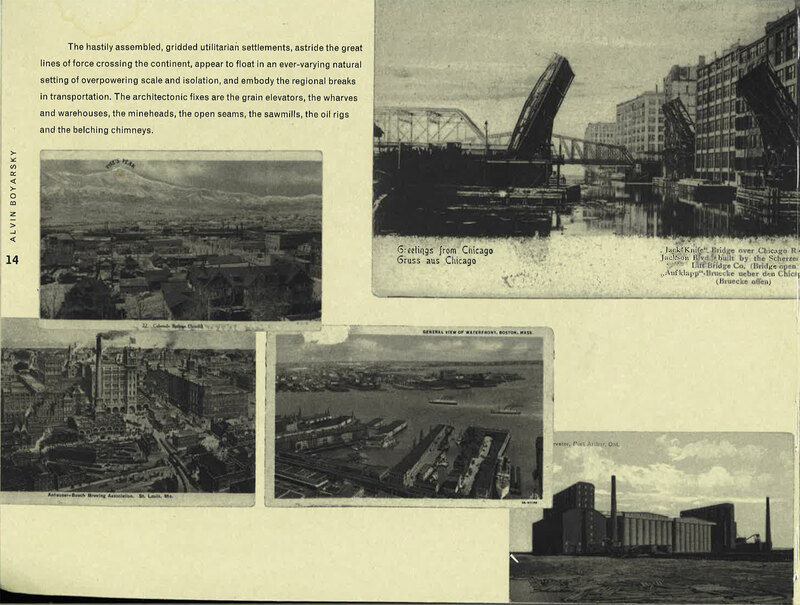 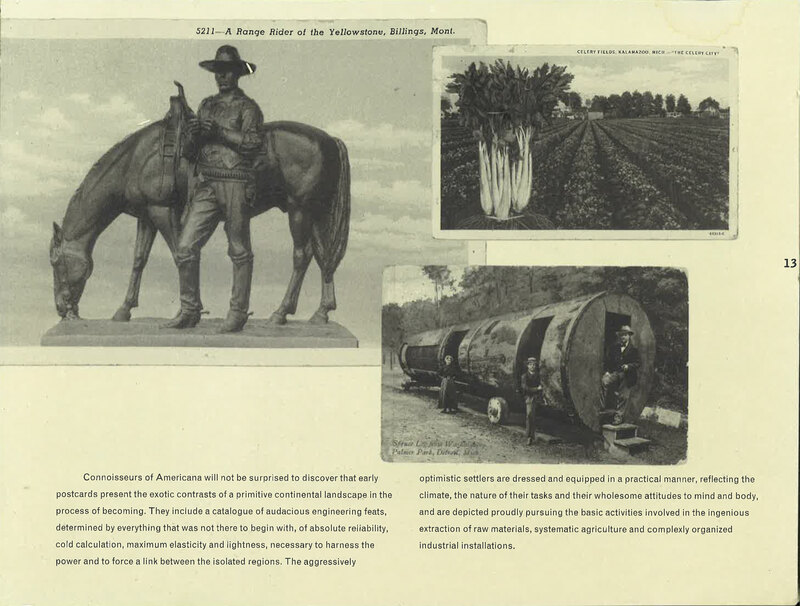 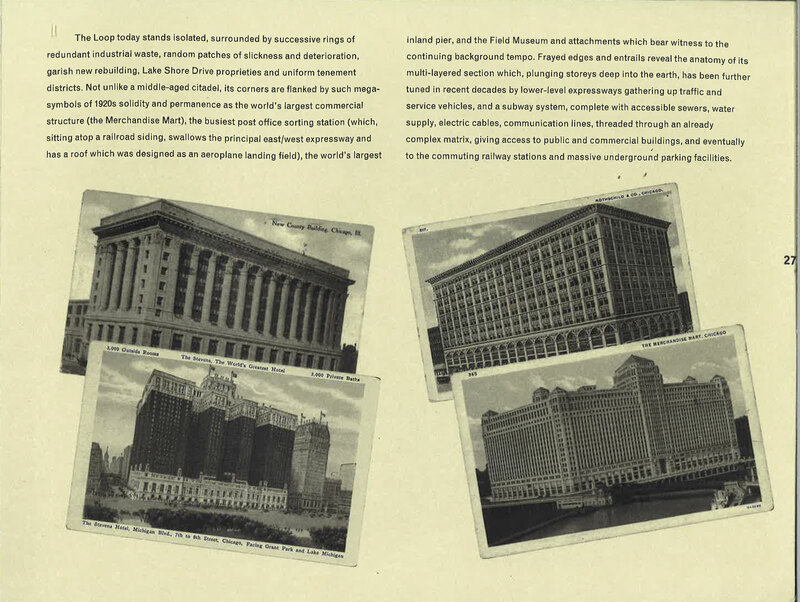 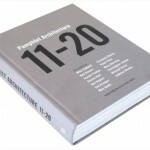 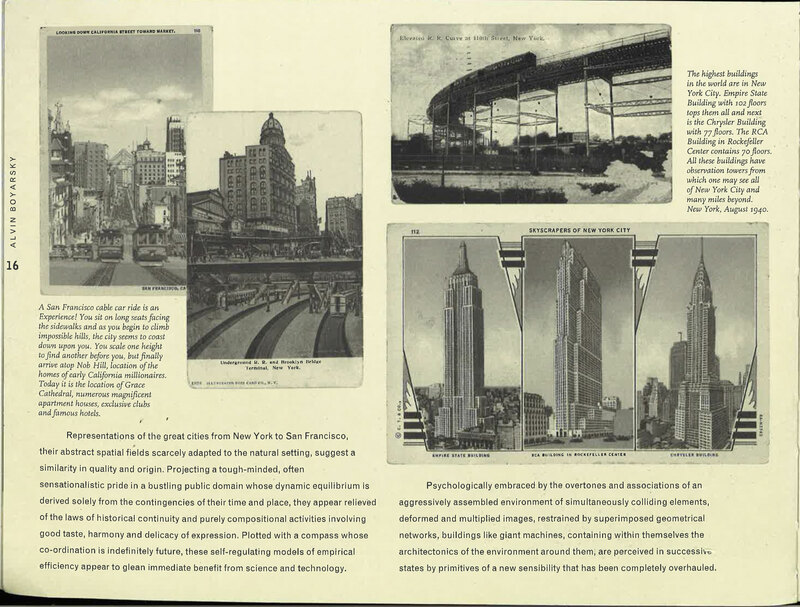 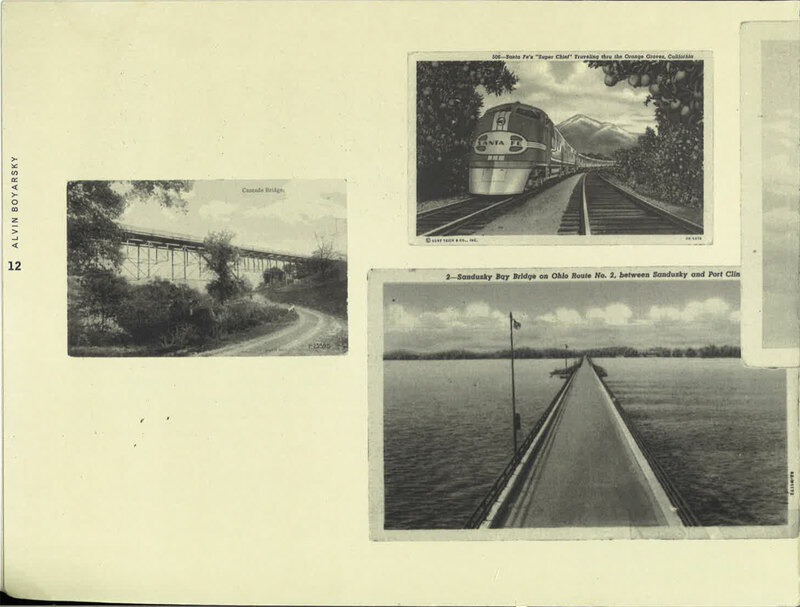 Relying on his collection of popular postcards of American history, industrialization, and architecture, Boyarsky tried to convey a different look at the city, constructing a visual and textual history that was to oppose the official architectural imagery of high art photography while reviving the social ideals related to the heroic phase of the Modern Movement. 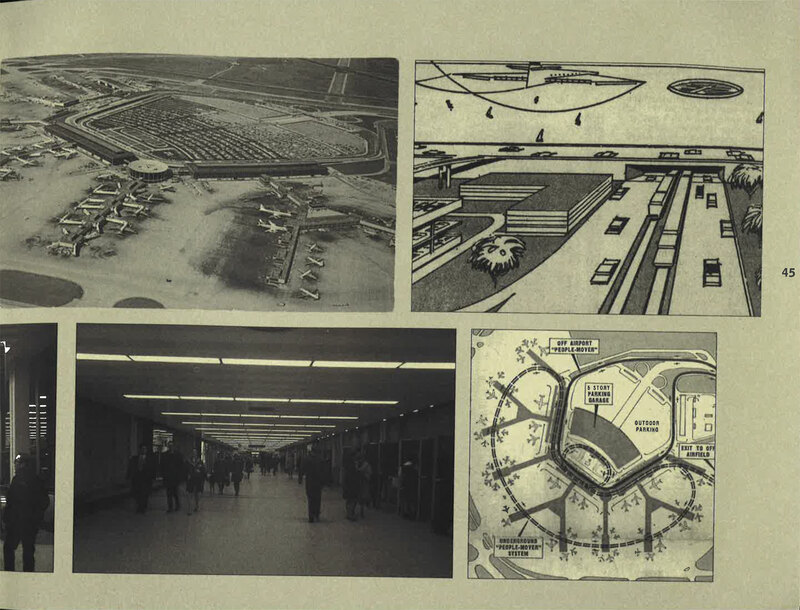 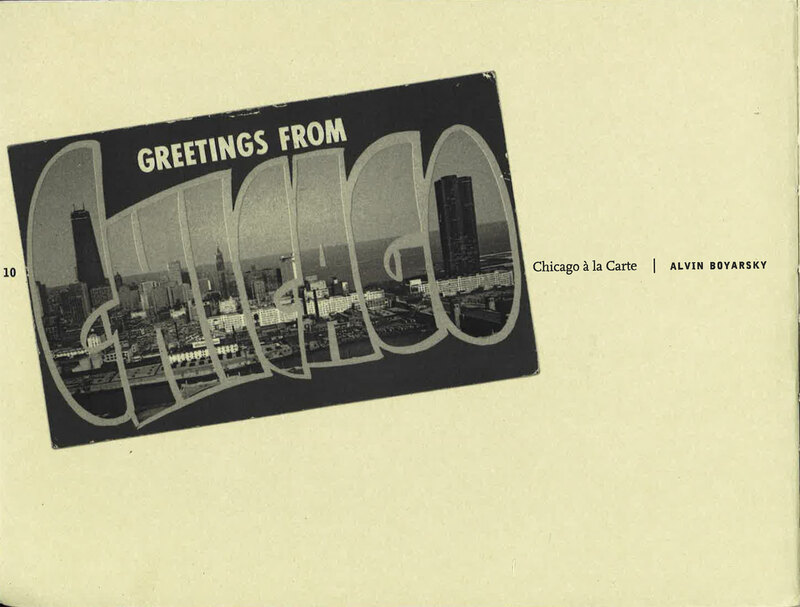 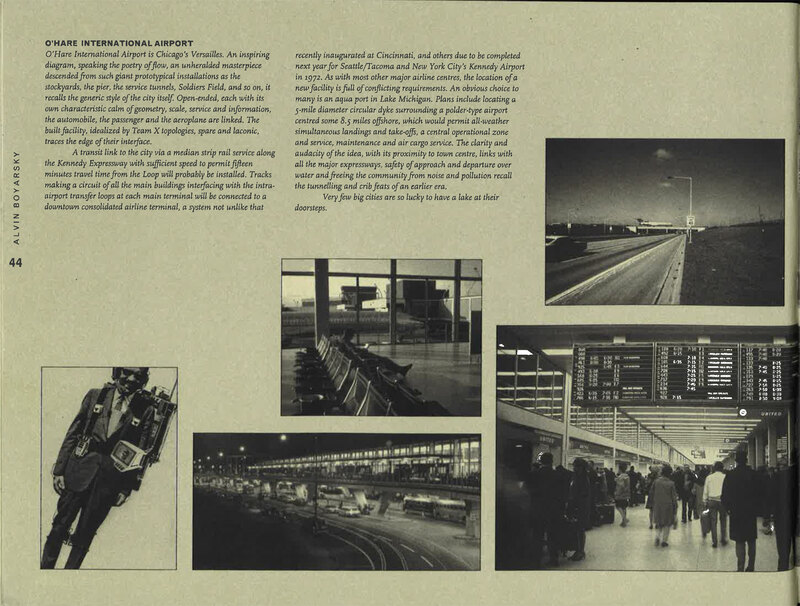 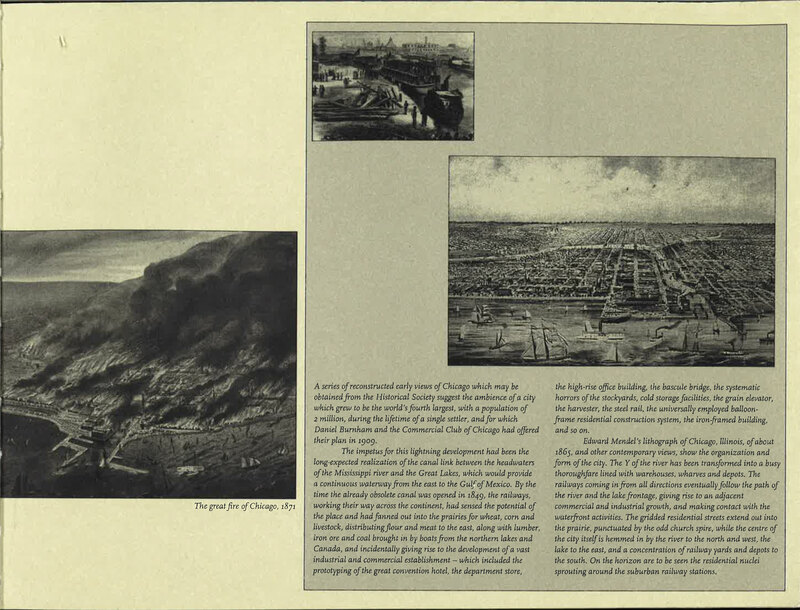 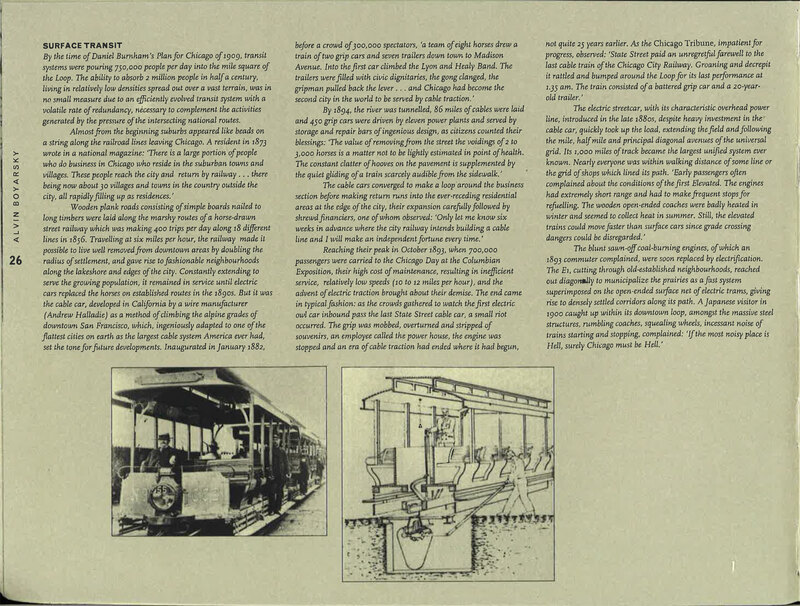 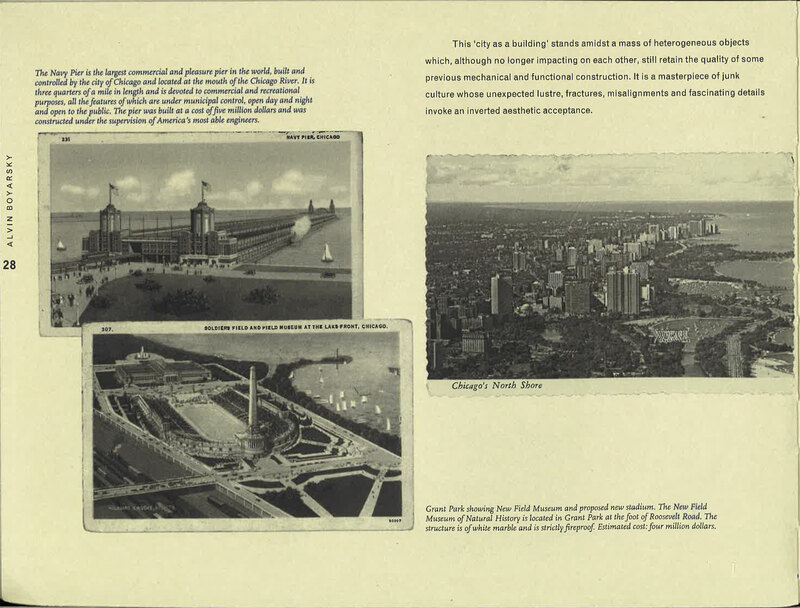 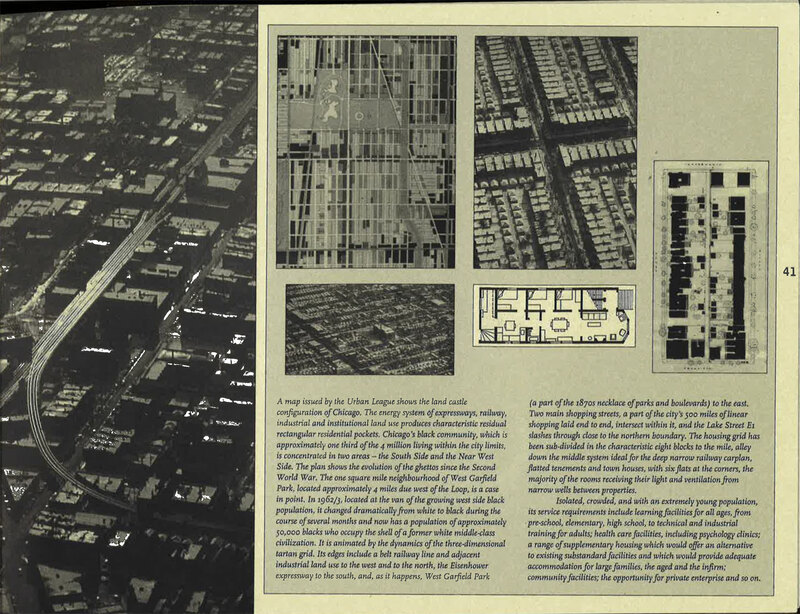 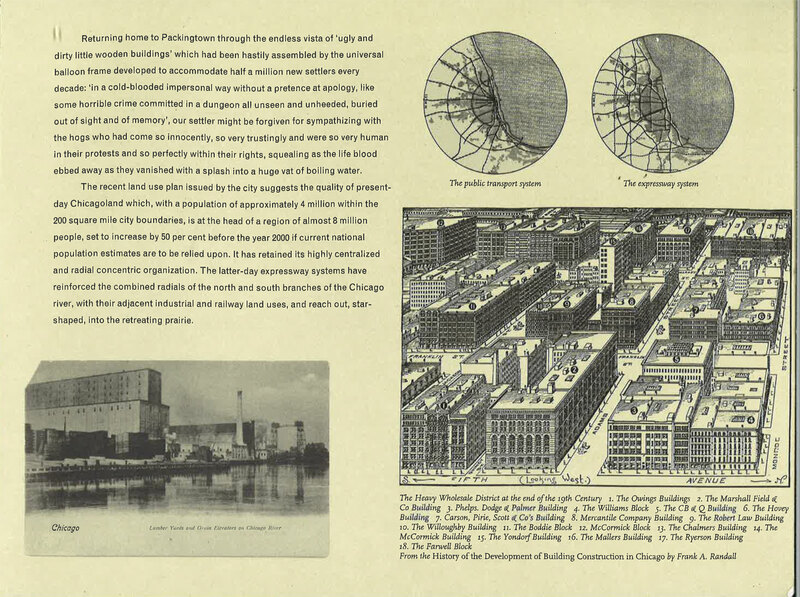 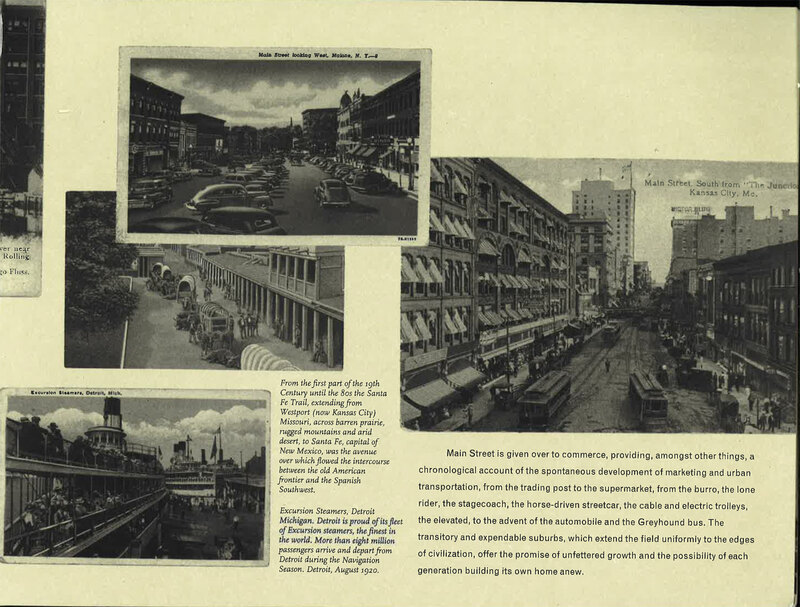 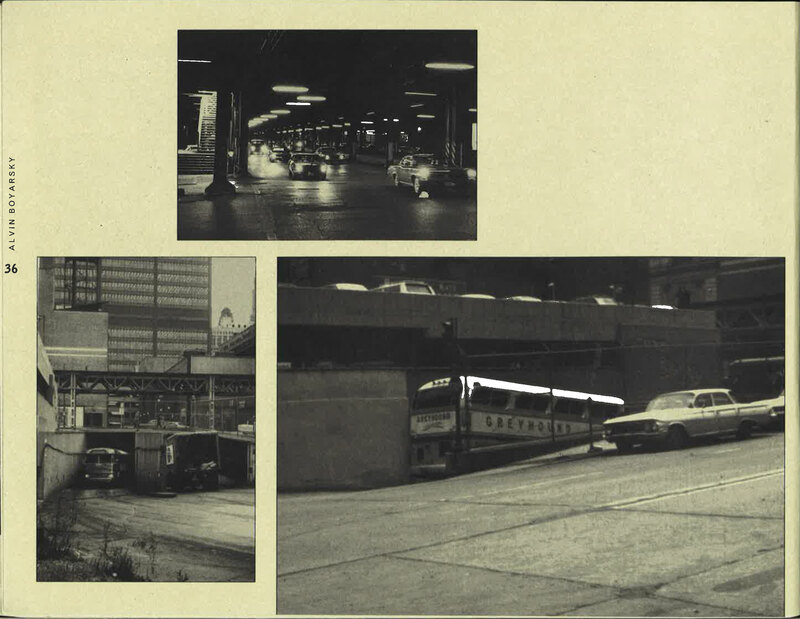 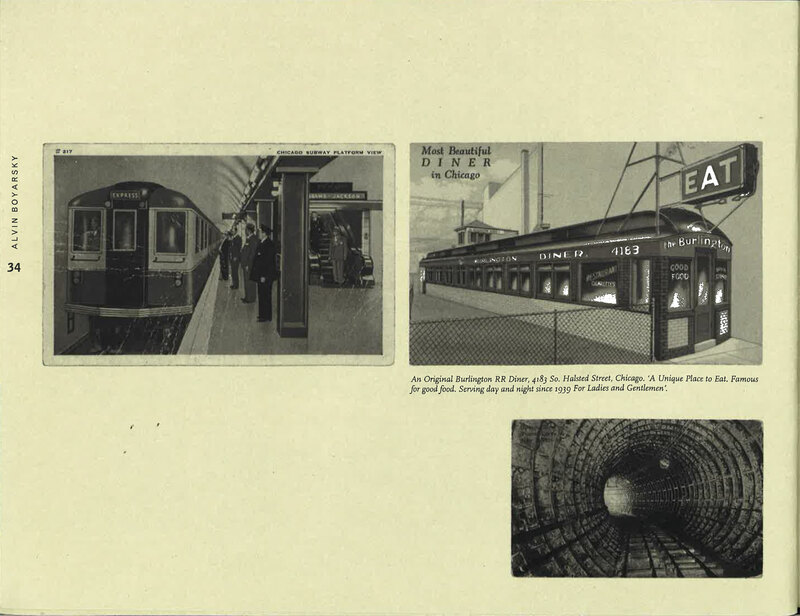 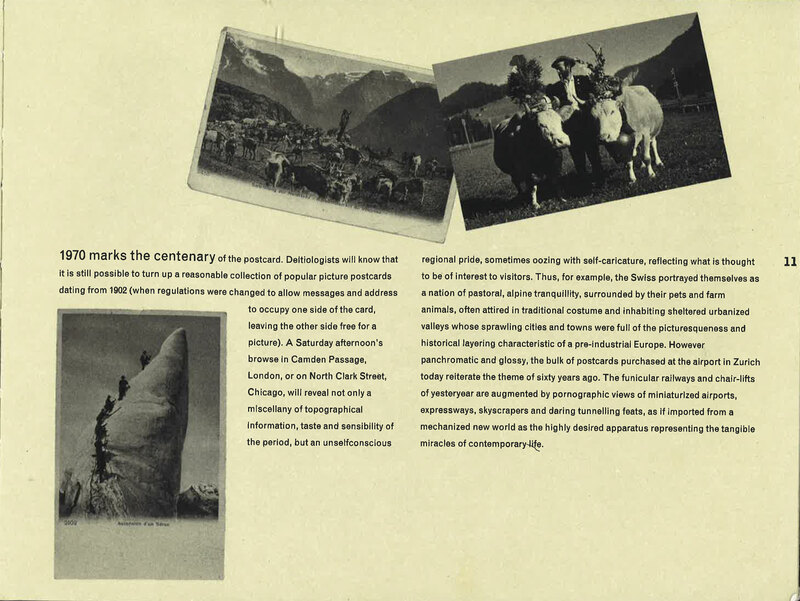 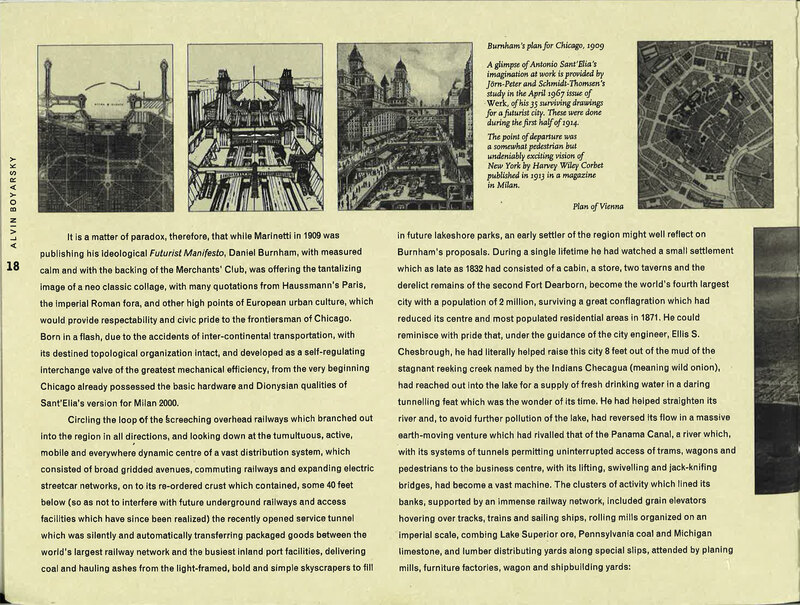 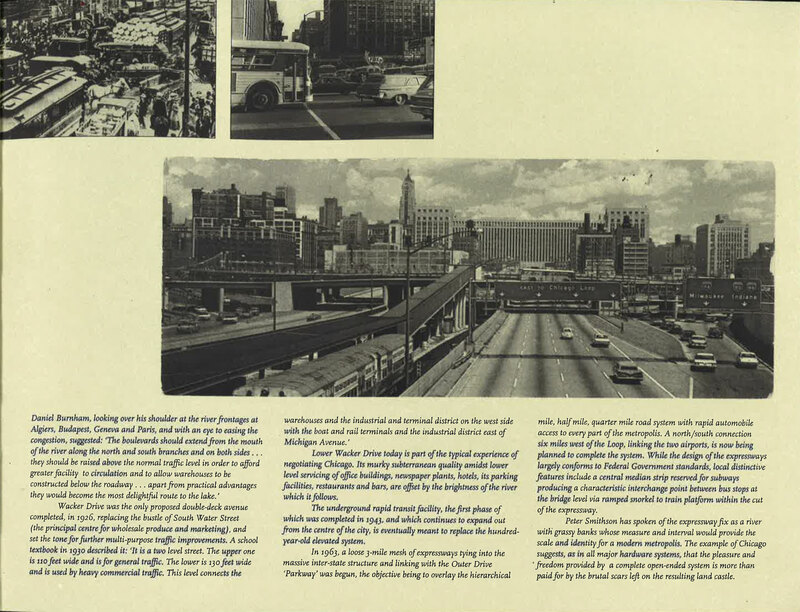 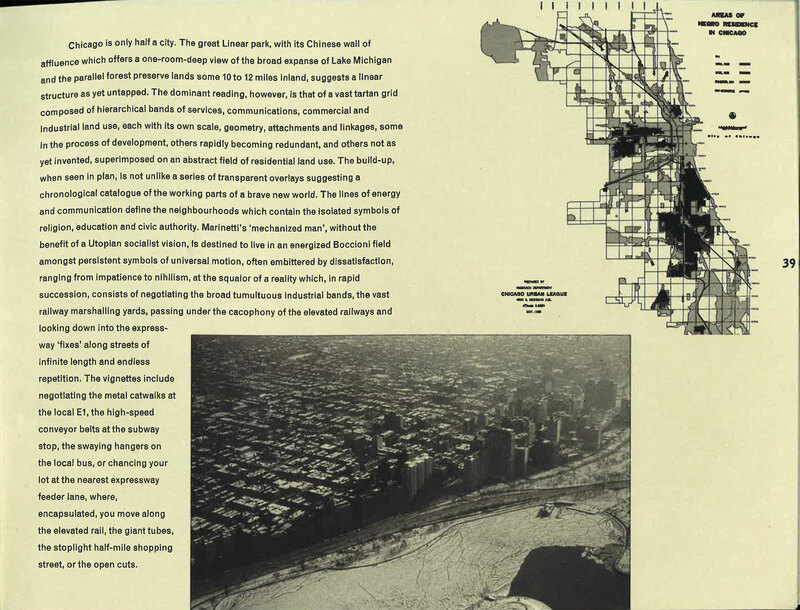 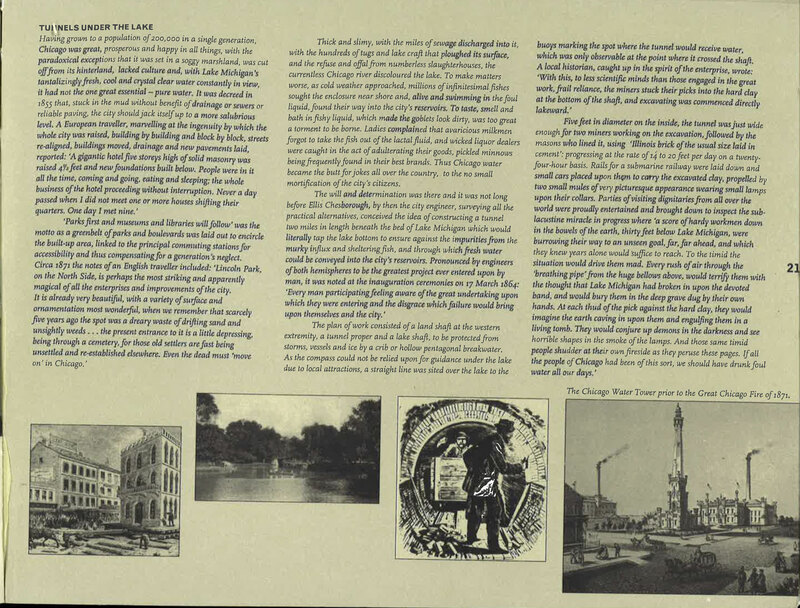 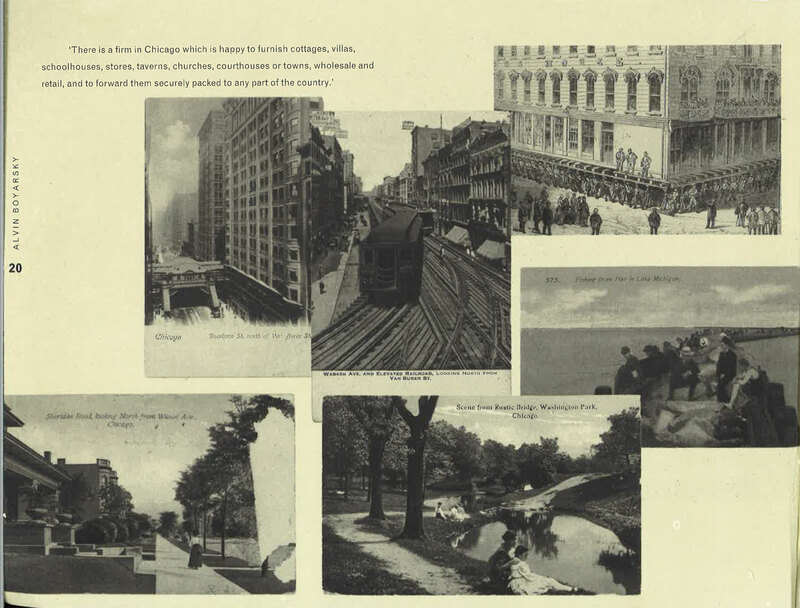 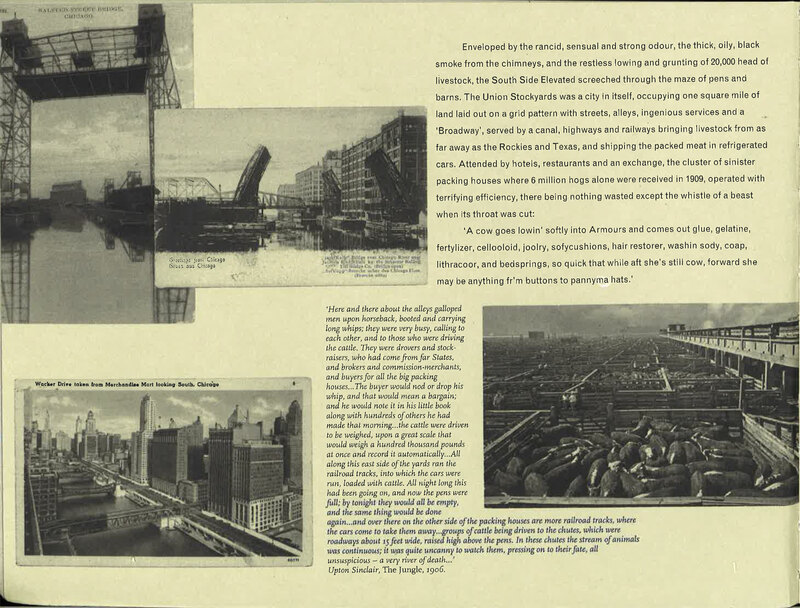 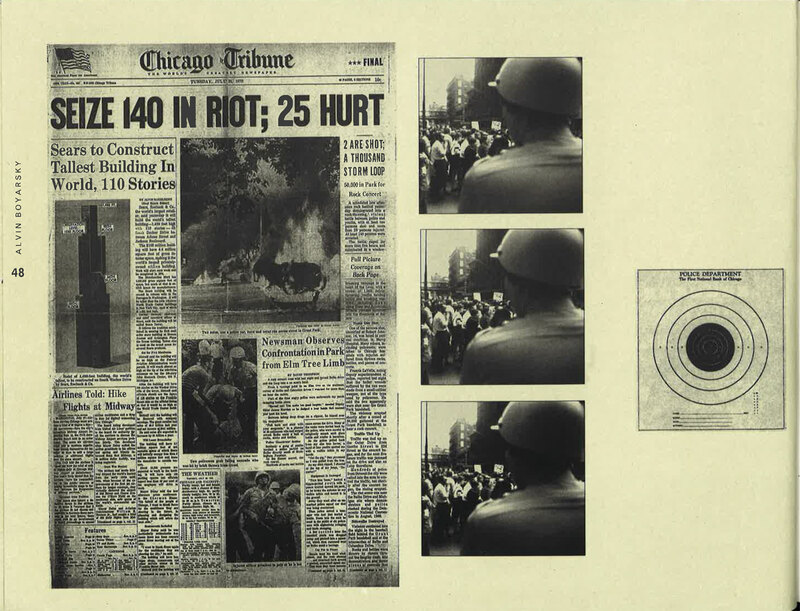 So, Chicago à la carte was born: a passionate history of the city based on postcards and texts, a tool to address the production of urban spaces as the complex interaction of architecture, infrastructure, engineering and labor, politics and economy. 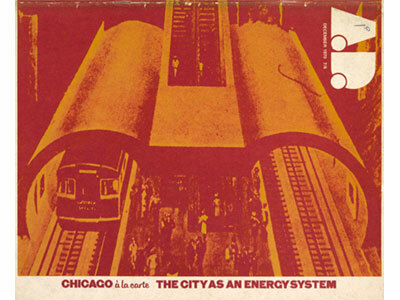 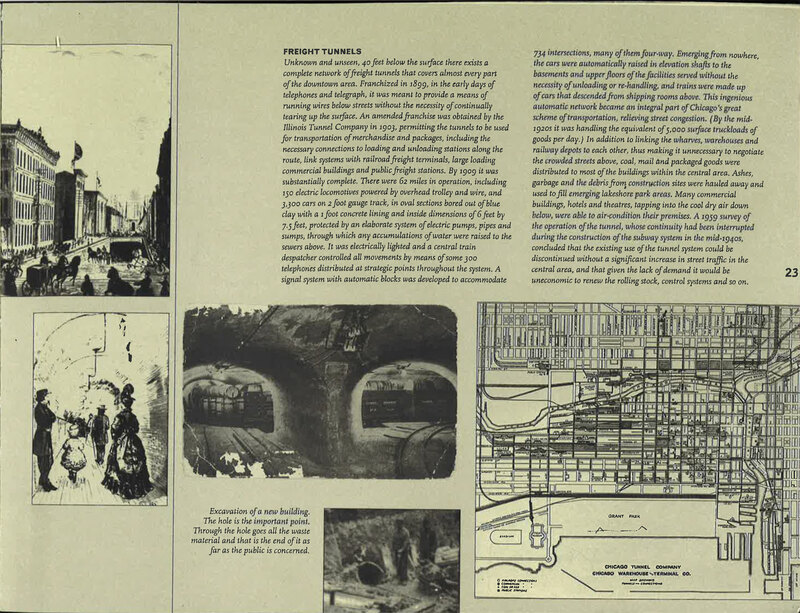 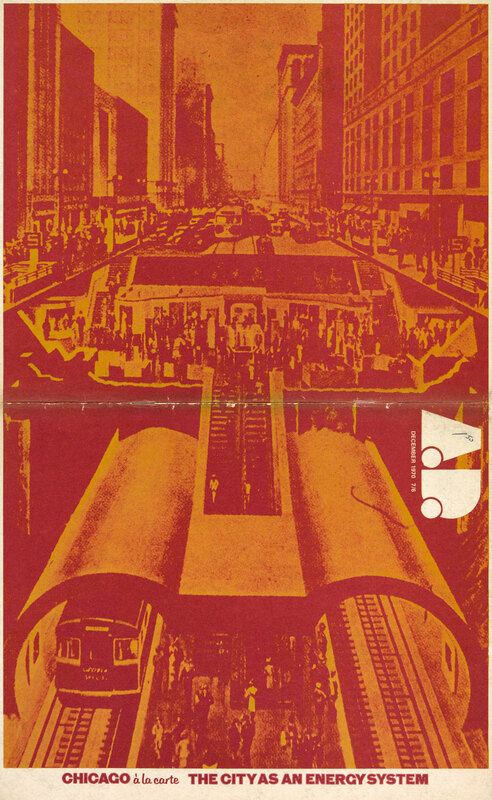 Published in a monographic number of Architectural Design (AD 10/1968), the work was added a powerful cover: a red-colored multilevel section of the city’s Loop from the top of the skyscrapers down to the underground subway system. 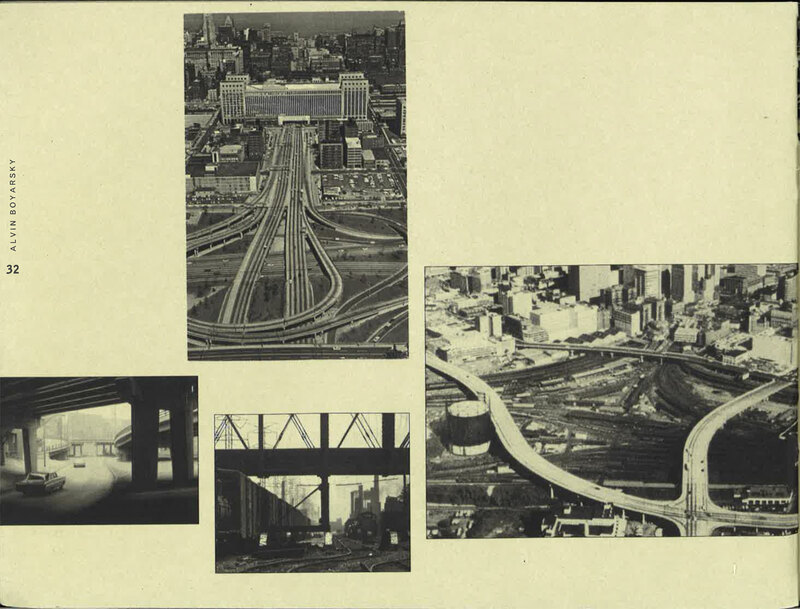 Needless to say, Rem Koolhaas, a pupil of Boyarsky when the two were at the AA, relied again on the postcards as a visual commentary of his own reading of the city, this time Manhattan, of course. 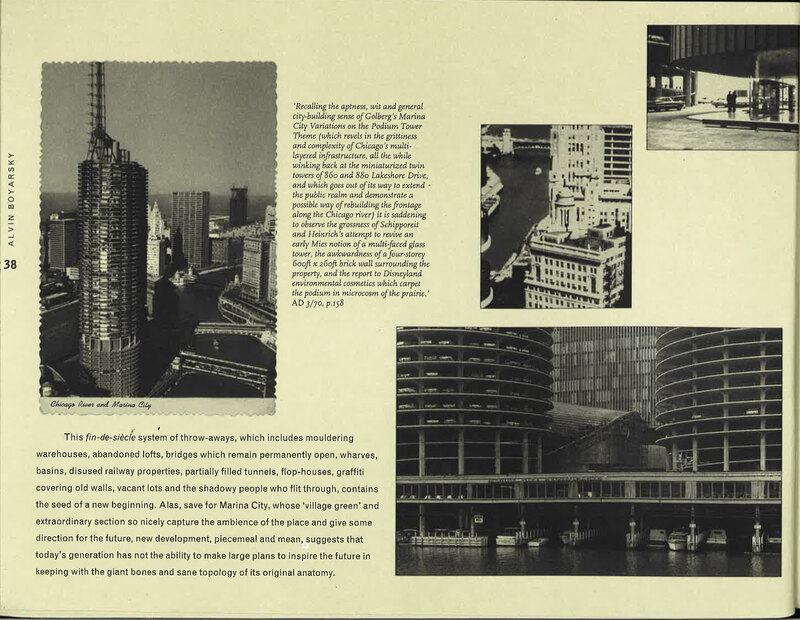 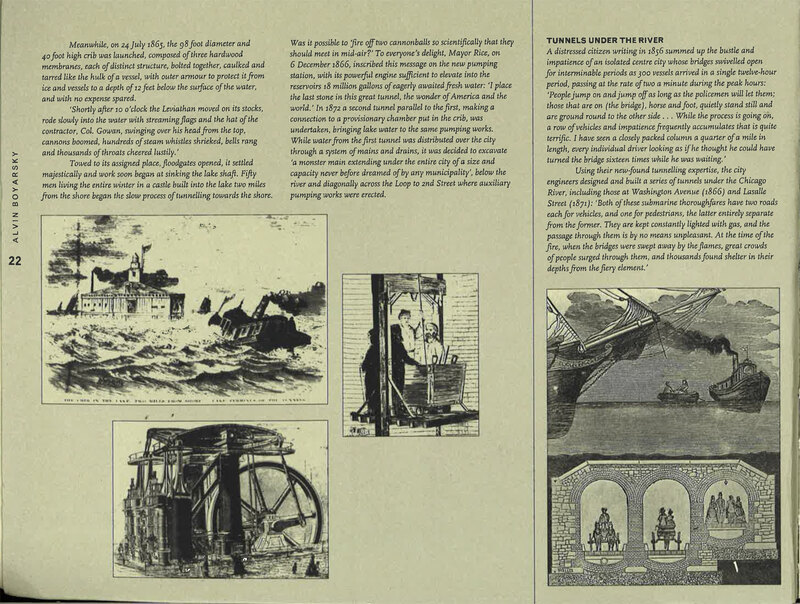 The following images are from: The idea of the city, a tribute book to A.Boyarsky edited by Robert Middleton, with the contributions of Rem Koolhaas, John Hejduk, Zaha Hadid and Peter Eisenman, among others (Architectural Association, 1996). 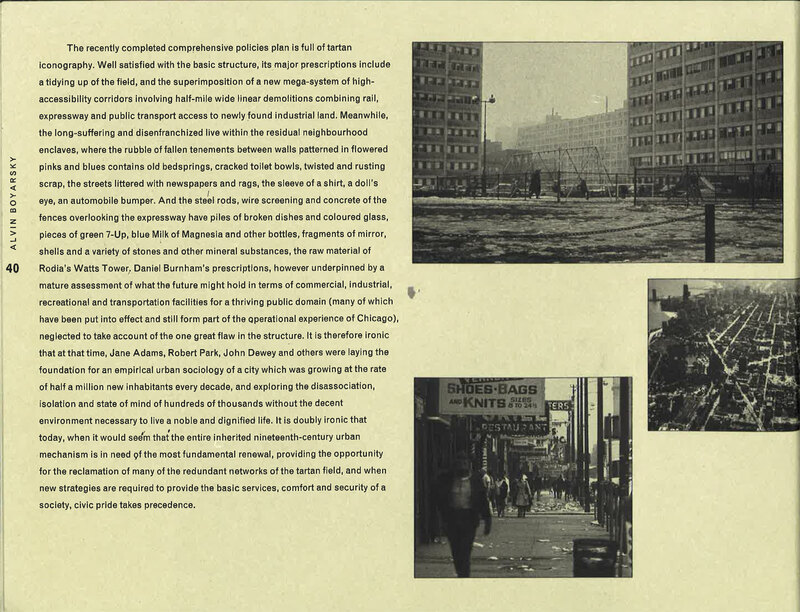 Igor Marjanovic, “Postcards and the Making of Architectural History: The Cases of Alvin Boyarsky and Rem Koolhaas“, Iowa State University. 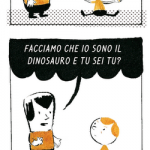 Roberto "Multitasking" La Forgia: Blog, Illustrazioni, Little Pills TV, Book trailers, Facebook, Flickr,Tumblr, Twitter, Rizzoli Lizard.